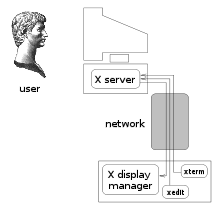 In computing, an X terminal is a display/input terminal for X Window System client applications. 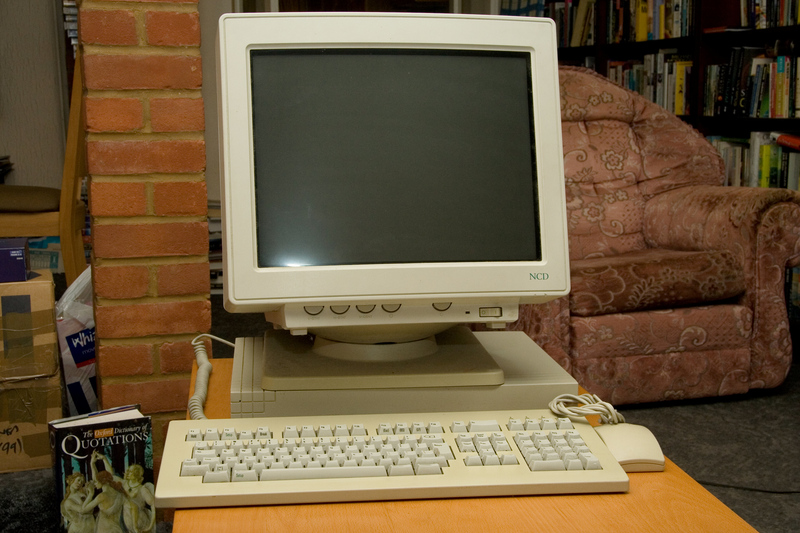 X terminals enjoyed a period of popularity in the early 1990s when they offered a lower total cost of ownership alternative to a full Unix workstation. An X terminal runs an X server. (In X, the usage of "client" and "server" is from the viewpoint of the programs: the X server supplies a screen, keyboard, mouse and touchscreen to client applications.) This connects to an X display manager (introduced in X11R3) running on a central machine, using XDMCP (X Display Manager Control Protocol, introduced in X11R4). Thin clients have somewhat supplanted X terminals in that they are 'fattened' with added flash memory which contains software that duplicates much of the various Microsoft operating systems, thus acquiring the ability to "speak" a range of remote desktop protocols. Due to the existence of free software implementations of multiple protocols, X terminals which do not have this extra flash memory have been commercially obsoleted by more general-purpose thin clients and by low cost PCs running an X server. running an X display manager. In the early 1990s, several vendors introduced X terminals including Network Computing Devices (NCD), Gipsi, Hewlett Packard (HP), Digital Equipment Corporation (DEC, later absorbed by HP), IBM, Samsung and Tektronix.